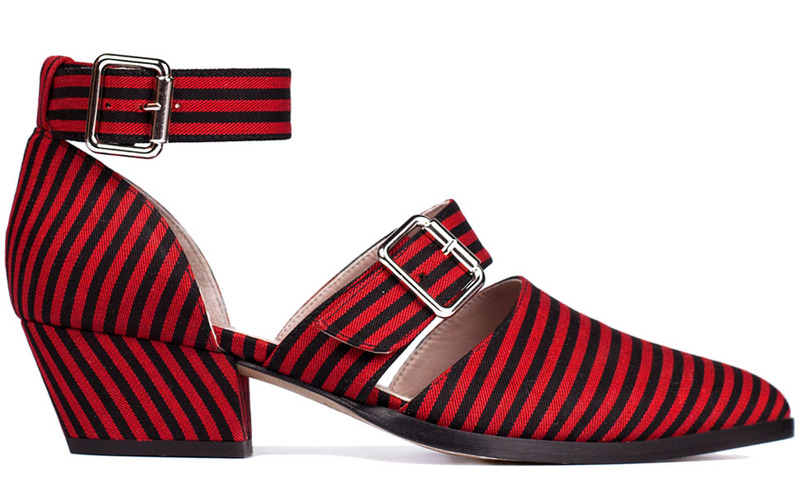 Red and black stripes cotton fabric sandal. 5 cm heel and leather sole. If there is a small stain, use a damp cloth with a spot of pH neutral soap and rub gently. Rinse the cloth and then rub again and allow to dry.